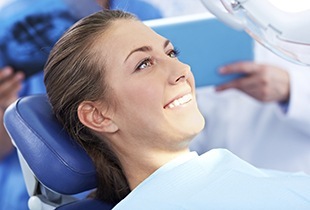 Whether you’re facing an issue as relatively minor as a cavity or as severe as extensive tooth loss, Dr. Canzoneri’s available restorative services can rebuild a strong, attractive smile that patients will be able to wholeheartedly rely on. Functional teeth do much more than simply look good – they also help you enjoy your favorite foods and perform your daily routine without chronic dysfunction or discomfort. If you’re in need of help, contact our Arcadia, CA practice today. 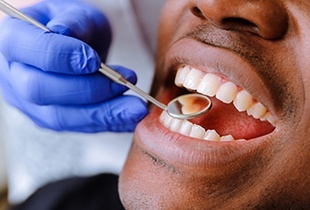 Dental crowns are singular and versatile restorations that are designed to cover one tooth at a time, both preserving what remains of its existing structure and rebuilding its original appearance. Dr. Canzoneri uses all-porcelain materials to create seamless, functional crowns that fit right in with natural teeth, and the final result should last for over a decade with proper care and maintenance. When a patient has lost one natural tooth or several teeth that appear consecutively, a custom dental bridge could be the right solution for recompleting their smile in a sturdy and lasting fashion. Bridges are designed to literally “bridge” the gap by using crowns to anchor over adjacent natural teeth on either side. Our Arcadia practice also offers implant-retained bridges, which utilizes two implants instead for healthier, more permanent results. Over 90% of the population will experience a cavity at one point or another; thankfully, the treatment process can be simpler than ever with the help of tooth-colored composite resin. This restorative material offers patients several valuable advantages when compared with traditional amalgam, the most obvious being that it will be virtually indistinguishable from the rest of your natural smile. 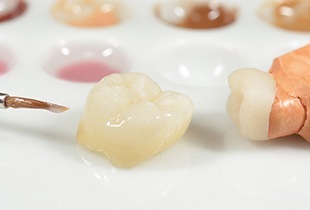 The flexible nature of composite resin allows for smaller, more conservative fillings, and the lack of metallic materials makes them less sensitive to hot and cold temperatures. Dr. Canzoneri regularly utilizes a state-of-the-art hard tissue laser when performing restorative care. This technology uses steady, concentrated light to remove unhealthy tooth structure and prepare teeth for new fillings. The procedure is very comfortable for patients and conservative as well, preserving more of the healthy remaining tooth and encouraging longer-lasting results. When a patient has lost a large number of natural teeth, even life’s little pleasures like enjoying a steak or chatting with friends can become embarrassingly difficult. 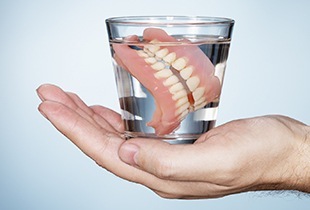 Dr. Canzoneri would be happy to help you reclaim your quality of life with a modern, customized denture. This type of prosthetic comes in either a partial or full version, and their removable nature is convenient for patients. Our team also strongly recommends implant-retained dentures for added seamlessness and stability. Do you feel overwhelmed by the number of oral health problems you’re currently facing? Does it seem like you’ll never be able to enjoy a complete, confident smile again? Here in Arcadia, Dr. Canzoneri’s extensive experience and advanced training is a perfect fit for these complex cases. 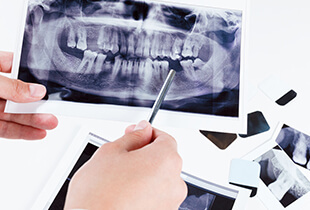 He can help you design the ideal full mouth reconstruction, which is a treatment plan consisting of handpicked services that fit each patient’s unique situation.